The Great Australian Bight is a left-over geological remnant from one of the greatest movements in Earth’s history. 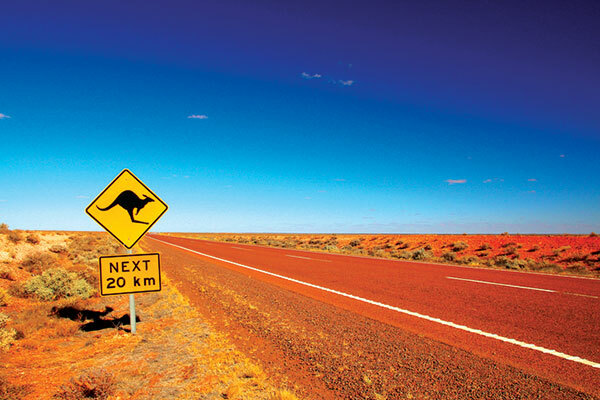 Its familiar sickle-shaped 'bite' shape forming as a result of Australia and Antartica, as we know them today, breaking from the supercontinent Gondwana to create two distinct continents. It was a process that began around 70 million years ago — about the time of the extinction of the dinosaurs — and finished around 40 million years ago, as part of the natural process known as rifting. This rifting, which moves continental and ocean plates around the surface of the globe and brings internal heat to the surface, has seen Australia travelling northward at the relatively rapid rate of about 69mm per year, and rotating in a gentle clockwise motion. This means we have moved a total of 1.49 metres closer to the tropics in the past 12 years. No wonder it seems to be getting hotter around here! In comparison, North America only moves about 25mm per year, though it is being squeezed by 75 to 100mm per year by the Pacific Plate, resulting in further lifting of the Rocky Mountains, the activity of a total of 92 volcanoes in Canada and the USA and the sort of tectonic activity that occasionally trips fracture lines such as the famous San Andreas Fault. These may seem to be esoteric sorts of figures, but they do potentially impact on your camping trips and your ability to find someone’s address via your GPS. It is necessary in this time of extremely accurate GPS mapping to adjust our global position to reflect our true location. It really doesn’t make that much difference to your street navigation, but for the military, aviation, mining and agricultural activities using extremely accurate navigation systems that 1.49 metres can make a big difference. Our position has actually been adjusted four times in the past 50 years, the remapping in 1994 moving us, officially, by a total of 200 metres. These sorts of figures also have significance for our northern neighbours, as our northward drift causes considerable volcanic and tectonic activity in Indonesia, New Guinea and the Solomon Islands. The most recent earthquake in New Guinea resulted in a 7.5 magnitude shake and over 120 deaths in February this year. The Great Australian Bight is the longest ice-free east-west coastline in the world. Interestingly, the International Hydrographic Organisation does not recognise the Great Australian Bight as a separate entity, and shows it only as a part of the Indian Ocean, just as it categorises Bass Straight and the Tasman Sea as simply parts of the South Pacific Ocean. The Australian Hydrographic Service considers the Great Australian Bight to be a part of the Southern Ocean. The separation of Australia from Antarctica created one of this planet’s most powerful and influential weather patterns. It opened a clear channel from west to east to permit ocean currents and weather patterns to flow freely around the southern polar regions, creating much colder and more violent weather than exists at similar latitudes to the north of the equator. Great Britain exists at a latitude of about 55 degrees north of the Equator, with extensive forests and a very diverse ecology of animals and plants. At 55 degrees south of the Equator we find the Australian possession of Macquarie Island where the weather is so cold no woody plant can grow, only stunted grasses, and an ecology that is so harsh that it is greatly restricted to essentially polar forms. This has had immeasurable effects on Australia, from governing the weather patterns in the southern half of Australia, to determining the shipping routes to and from our shores in the days of sail, governing water flow from rivers, where major cities have been established and on and on. Typically, during rifting of a continent, as one section of land pulls away from another, large wedges on landmass drop down to fill the widening gap. This is actually happening in the Great Rift Valley in Africa and the Red Sea today. When the sea floods in to fill this lowered landscape – a process that may take many millions of years – new seafloor is created. In the case of the Great Australian Bight that new seafloor was extremely wide, and it has left Australia with a southern continental shelf over 260km in width in the centre section of the Bight and about 80km wide at each end. This area has a very unique ecology as a result of a long period of geographic segregation, high energy turbulence from the rough Southern Ocean and an isolation resulting from the inflow of nutrient rich cold waters around Bass Straight and warm waters brought in by the Leeuwin Current flowing down the WA coast and around into the Bight. The life forms living there are extraordinarily diverse, many of them unique to the Bight, and many rated as endangered. 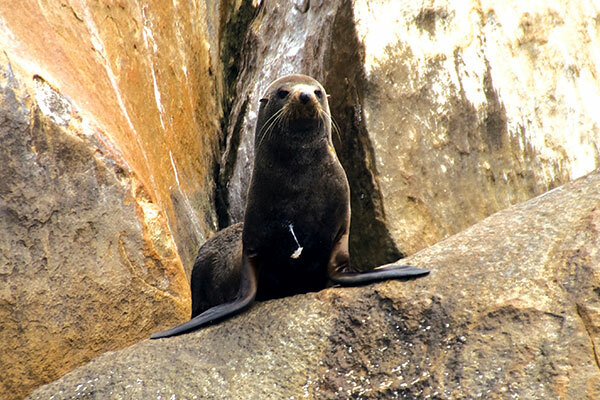 Notable among these are the southern right whales which come there to breed and calve, and the Australian sea-lion and a number of species of albatross. The rich upwelling of nutrients, especially in summer and autumn, produce a healthy plankton community that supports a rich crop of sardines and anchovies. These in turn attract large schools of juvenile blue fin tuna. The seaweed beds of the Great Australian Bight are among the world’s richest, with over 1200 species known. The geography of the Great Australian Bight varies greatly across its shoreline. About 40 million years ago thick carbonate sediments deposited along the relatively newly formed southern continental margin were uplifted to form the land which forms the current Nullarbor Plain. The upper layers were a very hard crystalline limestone, which provided a hard capping, while the lower layers are a paler chalky limestone which undercuts the rocks above as it is eroded by the heavy seas rolling in from the south. This has resulted in the formation of a steep and dramatic cliff line that averages over 80 metres for the 200km from the head of the Bight to near the WA border. 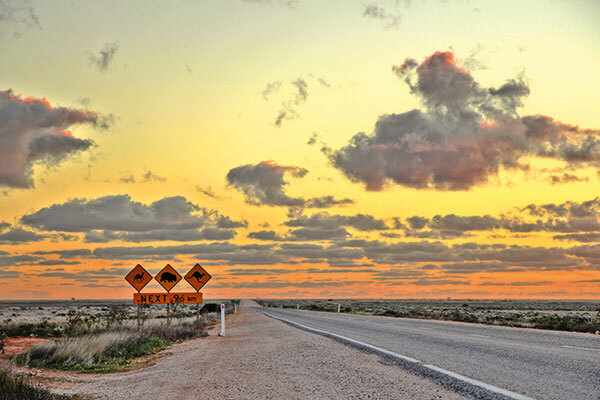 The Eyre Highway passes close to the cliffs between the head of the Bight and Eucla and there are side tracks leading down to the cliff edge. Any travellers are recommended to make the time for the side trip, but caution should be exercised along the unfenced and precipitous drops into the ocean far below. This is a great place for whale watching, especially around the head of the Bight during winter when the whales migrate north from their summer feeding grounds off Antarctica. Their numbers were greatly reduced by hunting but have been increasing in recent years despite the depredations of Japanese whaling fleets. There are no rivers flowing across the Nullarbor, preventing sediments from the land from muddying the offshore and near-shore waters, due to the low rainfall and the draining of any surface water into the subterranean caves and holes which are to be found right across the landscape. Carbonic acid found in rainfall gradually dissolves limestone and leads to the formation of underground cave systems and their enclosed features right across the world. 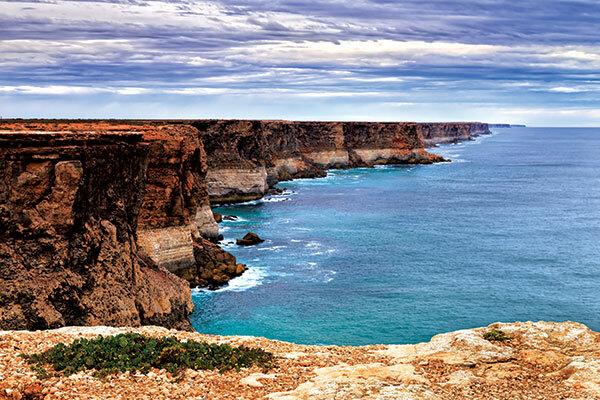 As with most such rift zones, which were the scene of active river systems – one believed to have been greater than the Amazon of today - and deep sediment deposition before oceanic flooding, the Bight is believed to be rich in oil and gas deposits. 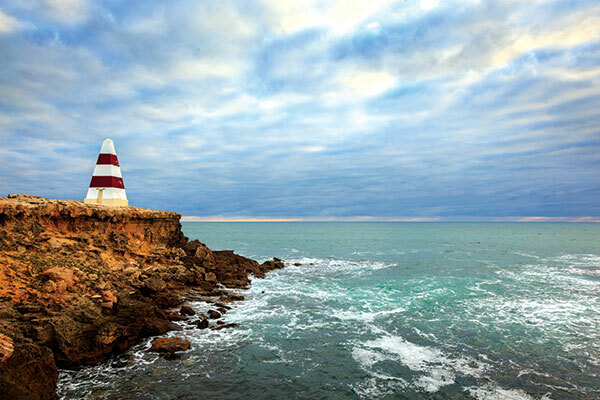 Some oil and gas drilling has taken place along the Bight since the 1960s and proposals for further exploratory drilling has been the focus community opposition as opponents argue that a worst case scenario of a major spill would devastate the region.